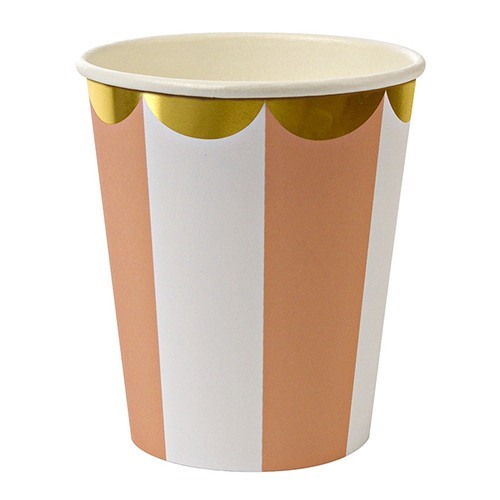 Your upcoming party or event just got even sweeter thanks to these scalloped stripe party cups. 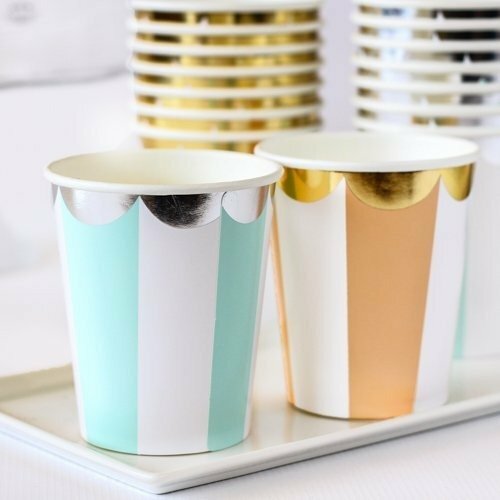 These elegant party cups come decorated with a thick white stripe and color of your choice combination and are embellished with a gold or silver foil scalloped rim. 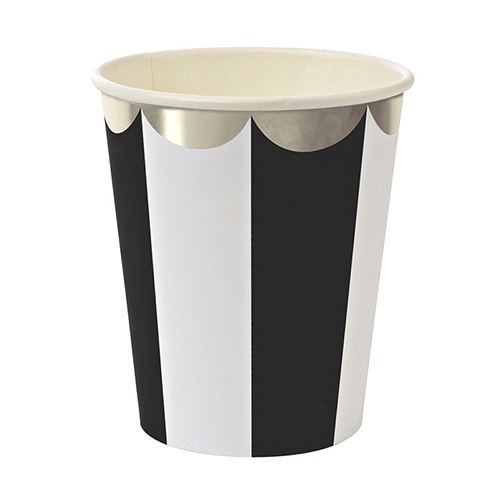 These cups prove to be the perfect decoration for your party and are disposable, making party clean up a snap!